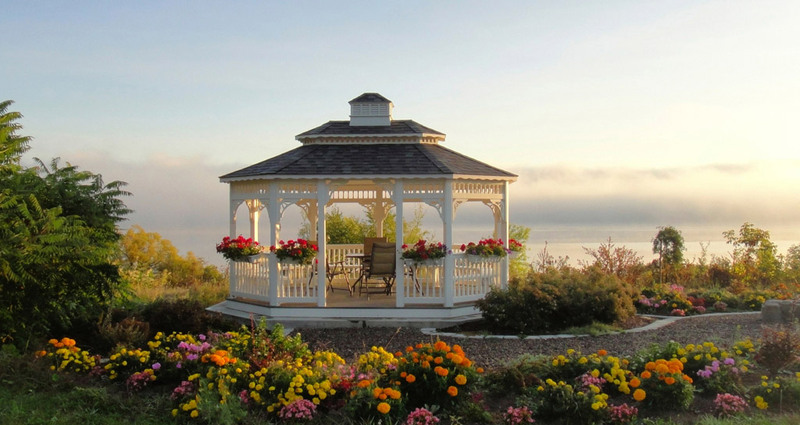 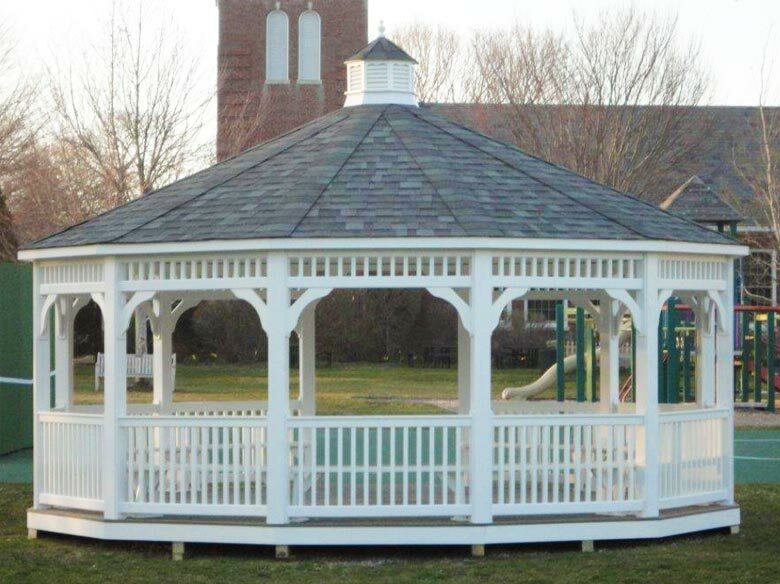 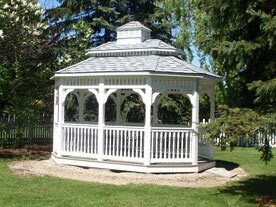 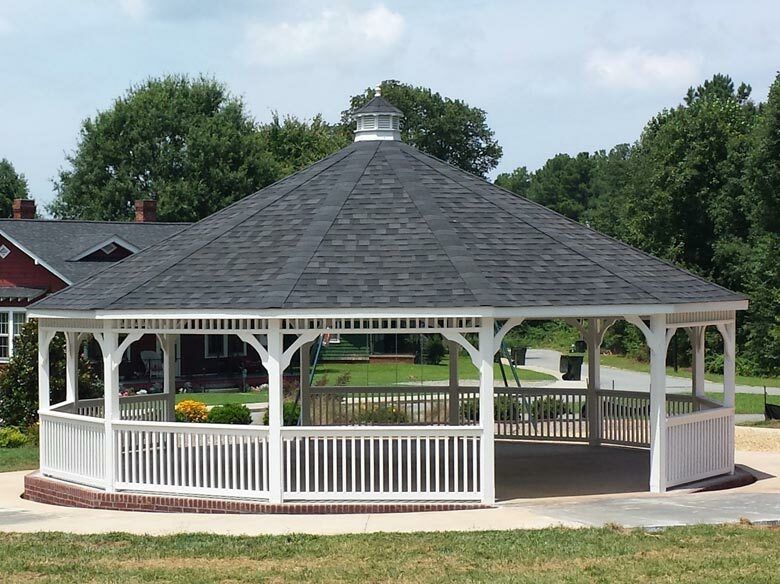 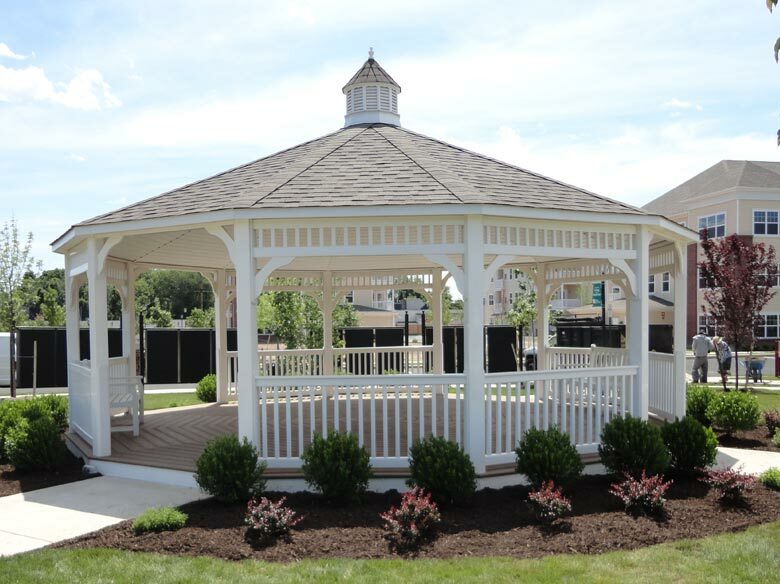 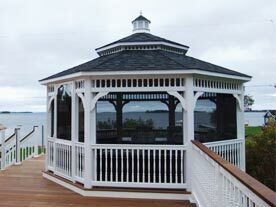 For those looking for custom Vinyl Gazebos or specialty sizes/shapes, we have an on staff designer that can create custom engineered drawings for you. 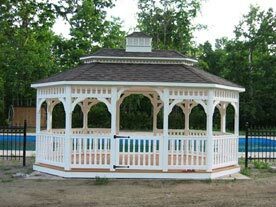 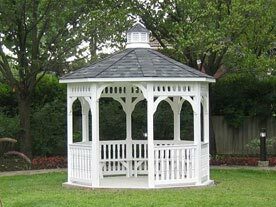 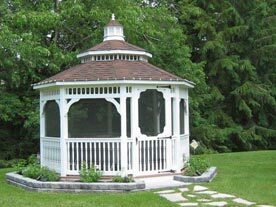 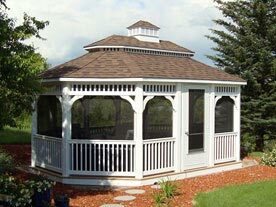 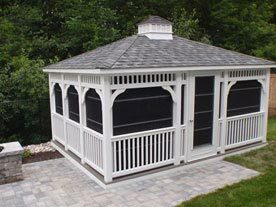 The Vinyl Gazebos have a Wooden core, which provides all the strength, and the Vinyl shell makes them maintenance free! 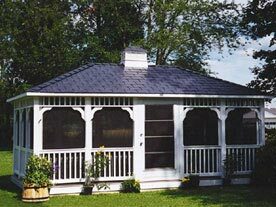 You might wipe off the dust with a wet rag once a year! 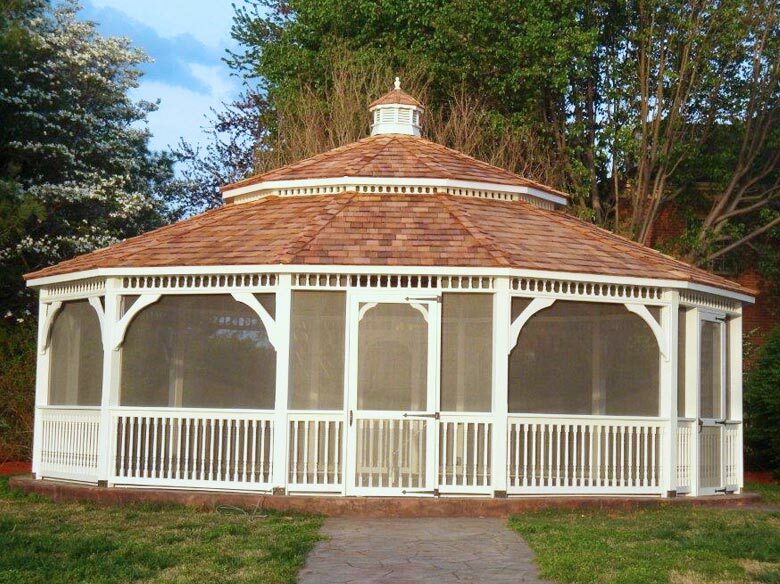 Our quality Vinyl is both color fast and non-brittle, guaranteeing it’s longevity.